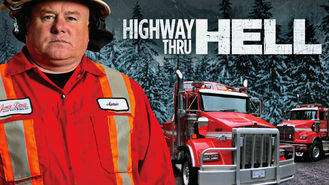 Highway Thru Hell (2012) on Netflix Australia. Check worldwide Netflix availability! If Highway Thru Hell isn't available in your country, or you are visiting a country where it isn't, there is still a way to watch it! On the hazardous highways of Canada's interior, heavy vehicle towing companies experience hardship and triumph rescuing wrecked and stranded trucks. This treacherous, snow-ridden road is a graveyard for semis. Without this cleanup crew, it'd be one paralyzed highway.